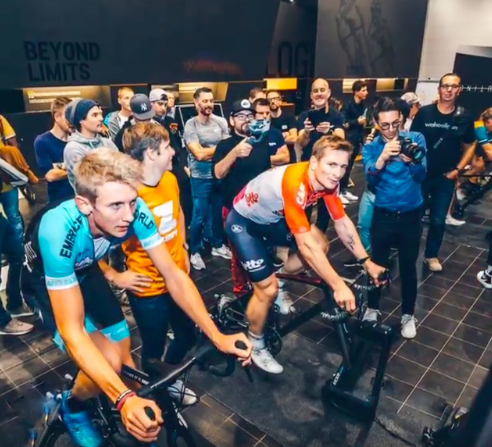 A few pictures from Koblenz where I rode the Zwift GERMANY TOUR 2018. I did start on Nov 20th at the Local Hero Race. Here, a mixed team of two female and two male team members fought for victory in a global race with other ZWIFT users. Even if I was intercepted before the finish, it was real fun again. Simply a top organized, cool event. At home I also use ZWIFT very often, because not only in the wet and cold season, it makes indoor training very interesting. If you’re on Zwift, maybe we’ll meet. My username is agreipel82.